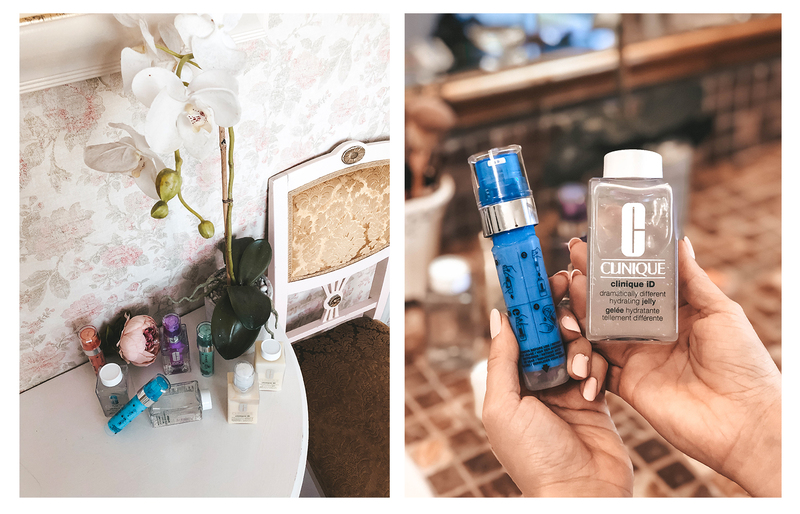 As promised, this post is only dedicated to skincare & beauty this time! Haven't talked about it for a while & since I recently got problems with my (face) skin being too dry all the time I decided to start testing out different "new" products. So that's how I discovered Clinique! P.S. My daily skin care routine usually consists of washing my face in the mornings, applying cream & then using BB cream on a daily basis since it's lightweight and good for your skin. In the evenings I ALWAYS remove my makeup (first I wash it with a gel, then clean it with a cotton pad & micellar water & then I apply the same face cream that I use in the morning). I also use an eye cream whenever I feel like I need it, tho not on a daily basis. A little about these products themselves. 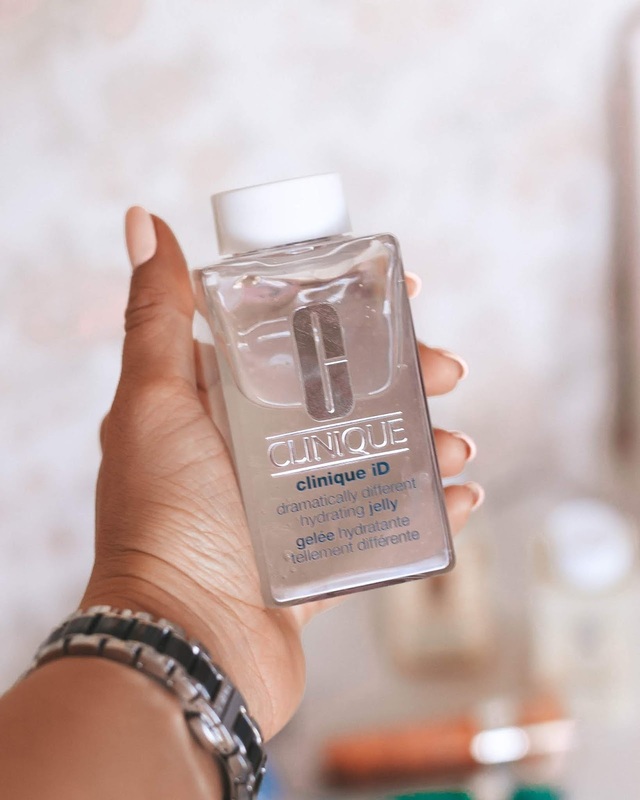 Clinique just came out with a new custom-blend hydration system that's made specifically for your skin type. It means that you can mix & match your face cream/jelly exactly how YOU want it. 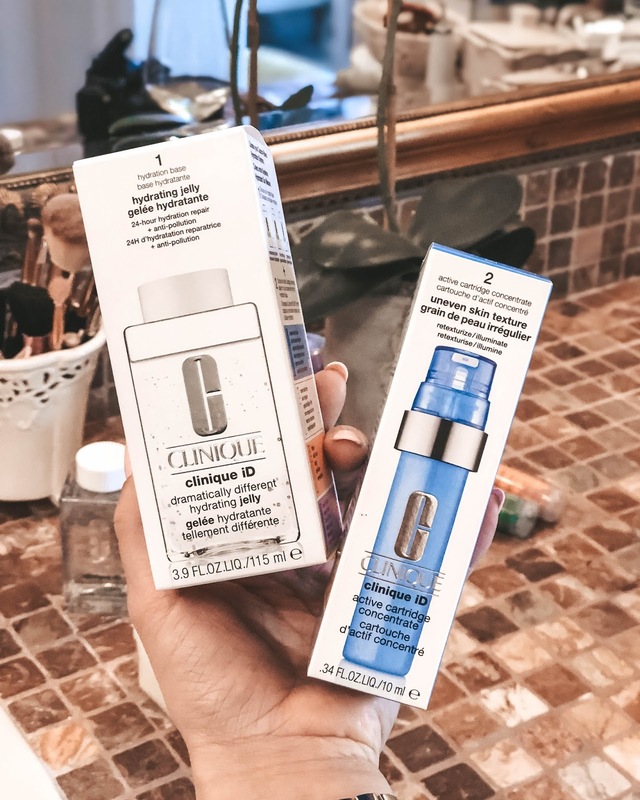 You can hydrate and treat your skin at once with one cream only (90% hydration base & 10% active cartridge concentrate). It seems hard to use at first but don't worry, it's not! Simply choose your STEP 1: Hydration Base and one of the five STEP 2: Active Cartridge Concentrates to create your own personal Clinique ID Hydrator. And for real it's so much fun (& the packaging is pretty too haha)! * Use it twice a day, in the mornings & evenings. Apply to clean skin & of course avoid the eye area. 100% transparent lightweight, oil-free water-jelly that hydrates, repairs skin's barrier and protects your skin from daily pollution. Silky lightweight, easily absorbed lotion that replenishes lost moisture & strengthens skin. Lightweight, oil-free gel that replenishes lost moisture & also strengthens your skin. A green cartridge that contains pure, concentrated levels of Lactobaccilus Ferment & other active ingredients to calm and comfort delicate skin. WHAT IT DOES: Instant soothing relief for delicate, irritated and upset skin. WHAT YOU'LL SEE: After one use: instant feeling of relief for delicate skin. After one week: irritation is soothed. After one bottle: reduction in skin redness. 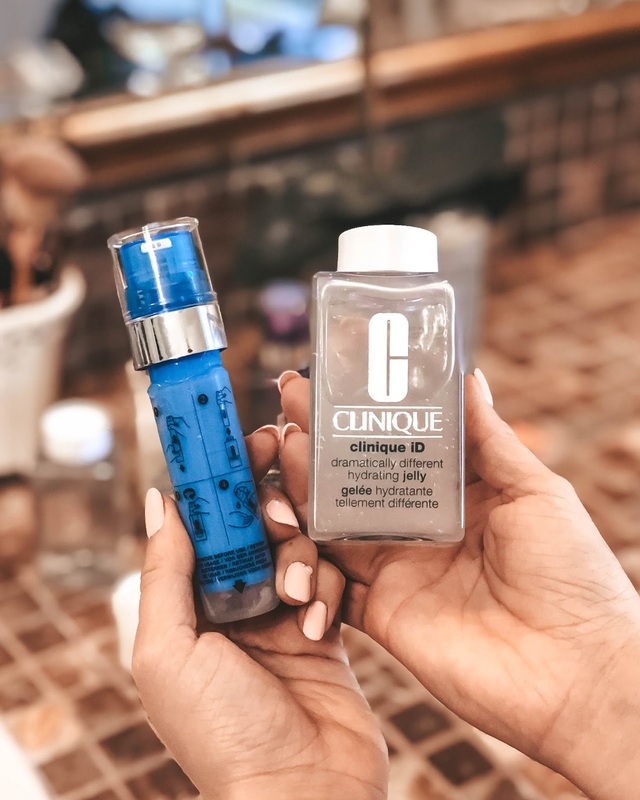 A blue cartridge that contains pure, concentrated levels of Alpha Hydroxy Acids & other active ingredients to reduce the look of pores & retexurize to reveal fresher, brighter skin. WHAT IT DOES: Improves skin's texture to reveal fresher, brighter skin & tighter-looking pores. WHAT YOU'LL SEE: After one use: instant polish for skin. After one week: skin appears more radiant. After one bottle: noticeable improvement in overall skin texture & luminosity. A white cartridge that contains pure, concentrated levels of Japanese Angelica Root Extract & other active ingredients to help bring about a brighter, more even skin tone. WHAT IT DOES: Provides a brighter, more even skin tone. WHAT YOU'LL SEE: After one use: instant brightness to skin. After one week: skin has a more even toned appearance. After one bottle: improvement in unified skin tone. 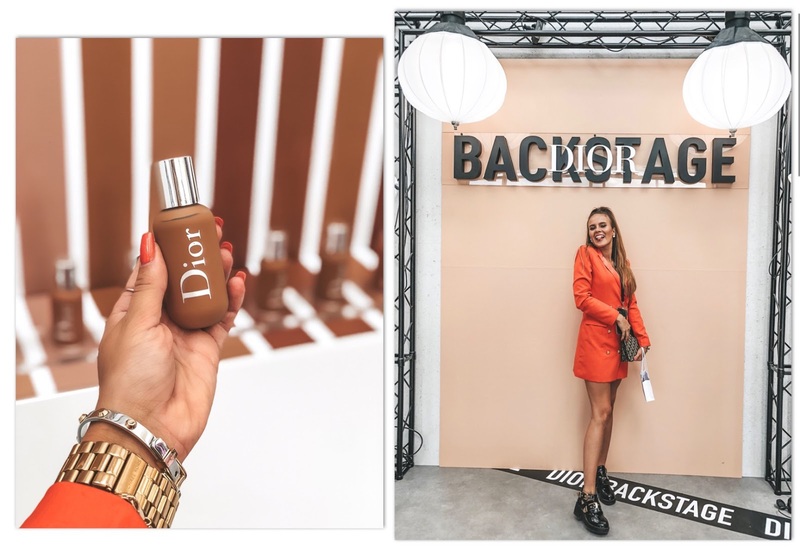 An orange cartridge that contains pure, concentrated levels of Taurine & other active ingredients to wake up the skin and minimize signs of fatigue. WHAT IT DOES: Re-energizes skin to minimize signs of fatigue. WHAT YOU'LL SEE: After one use: instant wake up call for skin. After one week: skin looks more energized. After one bottle: reduction in signs of fatigue and renewed glow. A purple cartridge that contains pure, concentrated levels of Whey Protein & other active ingredients to smooth and plump up fine dry lines & wrinkles. WHAT IT DOES: smooths dine dry lines & wrinkles, rehydrates & plumps. It's rich in amino acids, which are essential to initiating the natural development of new skin. WHAT YOU'LL SEE: After one use, instant smoothing for skin. After one week, fine dry lines are softened. After one bottle, reduction in lines & wrinkles. 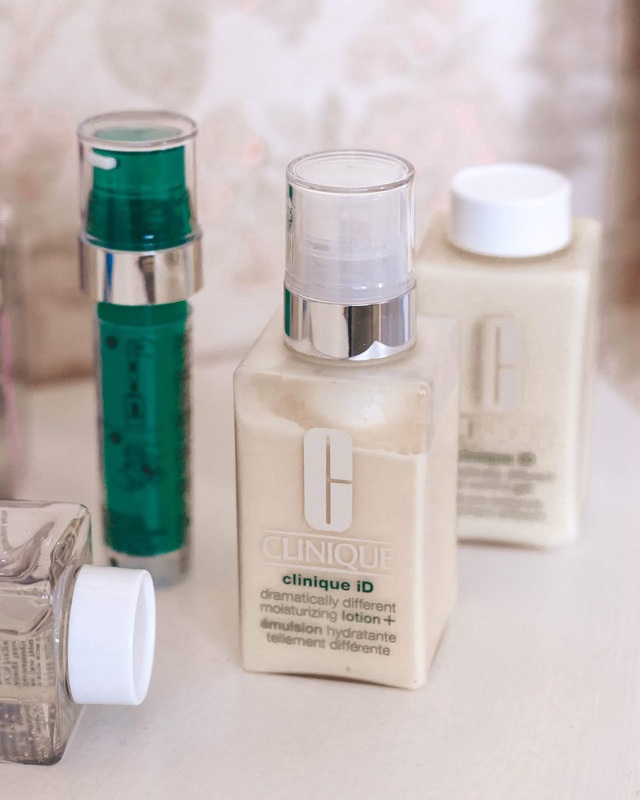 If you wish to improve your skin & take it to the next level you can shop all the creams @Kaubamaja (Ilumaailm) in Tallinn (if you live in Estonia) or you can order them from Clinique's official site HERE (if you need worldwide shipping). And I really recommend you to do that. Because your skin gets tired over the years of using the same products over and over again. So you need to make some changes every once in a while! Skin is so important, especially the face & neck area! So if you want to look healthy & young for a longer period of time then go test some new products! Until then have a wonderful week! Love you to the moon and back! Ning hea valik! Uneven Skin Tone on ka minu lemmik! Jaa! Nii tore, kui meeldib! Ooo! Näeb äge ja ilus välja. Ma just otsinud seda "õiget" enda näo jaoks. Hea meelega prooviksin Lines & Wrinkles + Jellyt! Kindlalt! Ma proovisin ja "väsimusest tingitud paistetus" alanes põhimõtteliselt juba järgmiseks hommikuks :O Seega working well! Uute toodete katsetamine ei ole allergiate pärast kahjuks veel positiivset tulemust andnud, sest enamik on nii keemilised, et minu nahk neid ei kannata�� Clinique'i olen mõnda aega uudistanud, aga pole tihanud veel proovida. Tundub, et minu go to kombo oleks Dramatically Different Oil-Free Gel + Irritation.